Sonoma Valley Community Health Center (SVCHC) was opened in 1992 as a freestanding primary care clinic. It began as a grass roots effort to address the lack of access and disparities of health care services for the uninsured and underserved in Sonoma Valley. Over the years, it has grown in capacity and is the only safety-net health care provider for Medicaid and the uninsured in the area. SVCHC, a non-profit, is a Federally Qualified Health Center and a 330 Grantee through the Bureau of Primary Health Care. Sonoma Valley is situated in the isolated far southeastern end of Sonoma County, California. It is designated as a Medically Underserved Populations (MUPs) and Health Professional Shortage Area (HPSA) due to its serious shortage of health care resources. The target population served by SVCHC includes people working in local agriculture, monolingual minorities, the low-income, the uninsured/under-insured (the at-risk and disenfranchised, including the homeless). Services are delivered at three buildings on West Napa Street in the City of Sonoma and on SVCHC’s mobile medical van that travels to outlying schools and Boyes Hot Springs community areas. For more information about Sonoma Valley Community Health Center, click here. 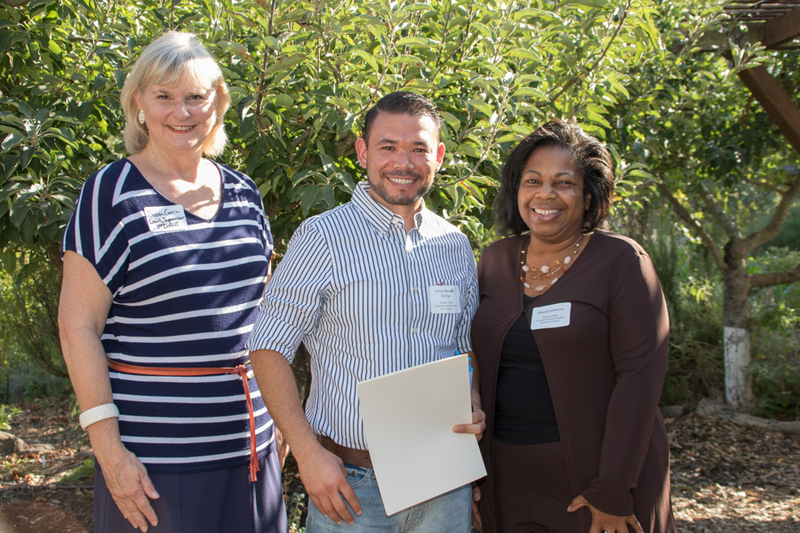 Sonoma Valley Community Health Center's CEO Cheryl Johnson (right) and Supervisor Susan Gorin (left) present the Star Award to Jesus Aguayo- Zuniga. At the age of 16 and speaking no English, Jesus came to the U.S. in search of the American Dream. Working beside his father in the fields he raised enough money to bring the rest of his family to the U.S. He became the first member of his family to obtain a college degree from UC Davis. For us he has established a trusted rapport with our patients. Jesus works a full-time job in San Francisco, takes classes to become a nurse practitioner and still, finds time to help La Luz Center. Jesus is an example of how through focus and compassion, goals can be reached while elevating others.